A trusted computer monitoring solution for hundreds of thousands of customers for over 19 years, SpyAgent is the top-rated gold-standard for computer monitoring and spy software that allows you to easily see everything your child or employee does on your computer. Updated for 2019 - Version 10! 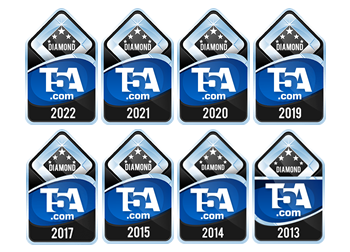 Buy Now - Start Monitoring Today! Operating invisibly, record EVERYTHING your child or your employee does with SpyAgent's wide-array of 50+ computer monitoring features. Remotely monitor with scheduled and on-demand email reports and real-time alerts. Remotely uninstall or update settings from the cloud! SpyAgent turns 19 in 2019 which means we have had lots of time and feedback to make an extremely refined computer monitoring solution. SpyAgent's unmatched all-seeing eye can bring an array of benefits to your family or business environment. 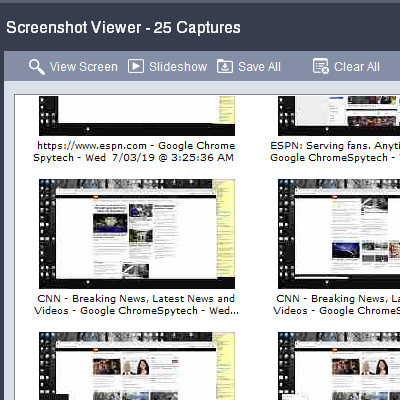 With the ability to log all keystrokes, track web and program usage down to the second, and show you everything that has happened with screenshots, SpyAgent helps you learn the truth and put your mind at ease! Track and learn your child or employees' web and computer usage habits. Learn why they minimize or hide windows when you walk by. Who is your child is talking to online? Are they giving out personal information to strangers? Keep a watchful eye on them and receive real-time alerts if they do. Our 24/7 Helpdesk can answer your technical questions around the clock, and even remotely setup SpyAgent for you - at no charge. SpyAgent's main purpose is to record everything your child or employee does. Here's what it records. 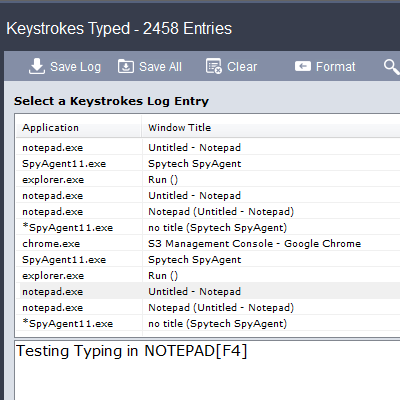 SpyAgent's keylogger logs everything users type - including passwords. Log what apps are ran, and for how long they are actually interacted with. Log all visits and online searches, and see how long each page was visited. Visual logging of everything done, played back in a convenient slideshow. Record what is happening around your computer, as well as on it. Capture images from the webcam to see who is using your computer. See all social network activity, email messages, and chat sessions. Track how long your computer is used, and how long users are active. A chronological timeline of everything that has happened on your computer. Log internet connections established, and even actual raw internet traffic data. Log what files are used, copied, renamed, deleted, and even transferred. Log every mouse click action, along with where it was clicked. Click on the screenshots below to view SpyAgent in action. 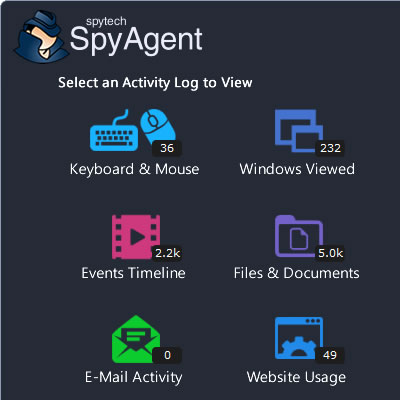 SpyAgent is not just a full-featured computer monitoring solution; it's feature set goes above and beyond just monitoring and includes many more useful features - like comprehensive activity filtering, real-time behavior alerts, cloud access, smart logging, self-destruct uninstall, graphical log reports, and more! SpyAgent can block websites, chat clients, and applications used. 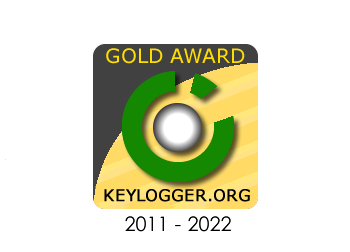 It can alert you in real-time when filters are triggered, and when keywords are typed. Activity triggered monitoring and screenshot captures provide flexible logging. 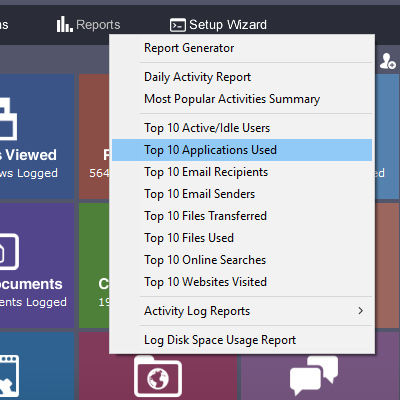 SpyAgent's report generator provides useful Top-10 and 'Most Popular' reports. 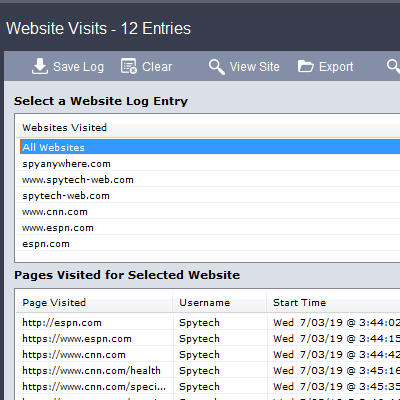 SpyAgent provides powerful built-in log viewers for local access and management, as well as log deliveries via email and FTP for remote monitoring. Besides being the most full-featured computer monitoring solution available, here are some more reasons to choose SpyAgent. Spytech SpyAgent is a proven performer. SpyAgent is developed and supported by Spytech Software, Inc., a Minnesota corporation. It was first introduced in 2000 and was immediately a popular choice for computer monitoring needs. 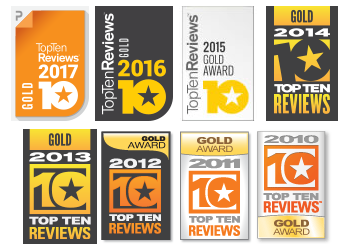 Years of listening to customer feedback and refinement has made SpyAgent into a world-class security solution that parents, families, schools, institutions, and corporations benefit from. SpyAgent has consistently proved to be a cutting-edge solution with its easy to use graphical user interface, innovative feature additions, and vigilant updates. Customer experiences lead to innovation. We listen to you! Spytech SpyAgent will continue to be a leading computer monitoring solution for many more years to come. We will help you if you have a problem! Should you have any questions or troubles with SpyAgent, Spytech is here to help you. Our 24/7 helpdesk can solve any technical problem you are having, as well as schedule remote assistance so we can quickly connect to your computer and set things up for you and ensure everything is working properly. Here are some of SpyAgent's commonly asked questions, and their answers. What are the system requirements for using SpyAgent ? 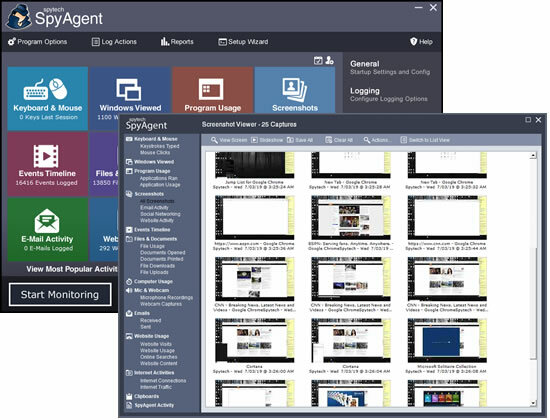 SpyAgent is compatible with all versions of Windows NT, XP, 200x, Vista, 7, 8, 8.1, and 10. 64-bit computers are supported. SpyAgent can operate on older machines with as little as 528mb RAM and only needs 3mb of disk space for its installation. For Mac and Android monitoring please check out our Realtime-Spy software here. Can I monitor any computer with SpyAgent ? No - you must own the computer you want to monitor, or you must have the owner's permission if you are not the owner of the computer. Monitoring a computer you do not own without authorization is potentially against the law! 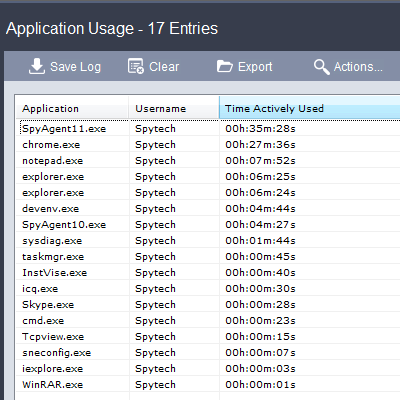 How many computers can I monitor with SpyAgent ? You can monitor one computer per license purchased. If you uninstall SpyAgent you can install on another computer you own and reuse the same license. Can SpyAgent be remotely installed? SpyAgent is not designed for remote installation. Our Realtime-Spy software is ideal for remote installation, however. To read more click here. Does SpyAgent stop working after a year ? Do I need to renew it or pay again ever ? Does SpyAgent run invisibly ? Will users know it is installed ? 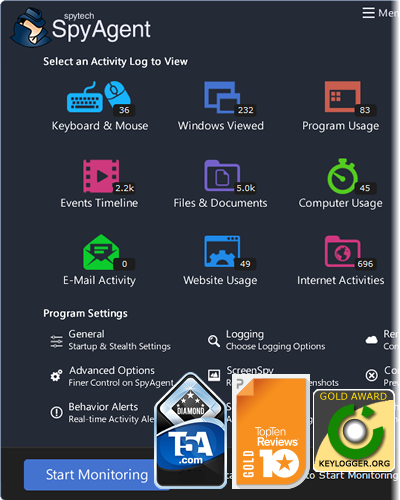 SpyAgent runs invisibly when installed in stealth mode - it does not show up on the desktop, task bar, or start menu. SpyAgent can even hide its program install and log folders so that others cannot stumble upon them. SpyAgent is designed to use minimal resources so it does not impact the performance of your computer. Is there a sales guarantee or refund policy ? We are positive you will be satisfied with SpyAgent's operation. If you have troubles with SpyAgent that we are unable to resolve for you within 15 days of your purchase we will give you your money back! SpyAgent downloads and installs in under 5 minutes. Let us do it for you, too! The software is the same, but our standard installer walks you through the setup process from start to finish allowing you to choose your options as you go (including stealth monitoring). The Stealth Edition installer installs SpyAgent 'hands free' in less than 10 seconds and starts monitoring in optimized stealth mode instantly. You can fine-tune settings afterwards, if desired. 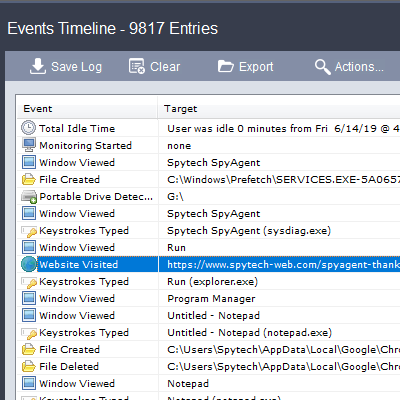 SpyAgent's Remote Suite includes a web-based remote control add-on that allows you to view SpyAgent's logs in real-time through your web-browser, and remotely control the remote computer. No risk, No recurring charges or hidden fees, and 24/7 support (including remote assistance) is always free. 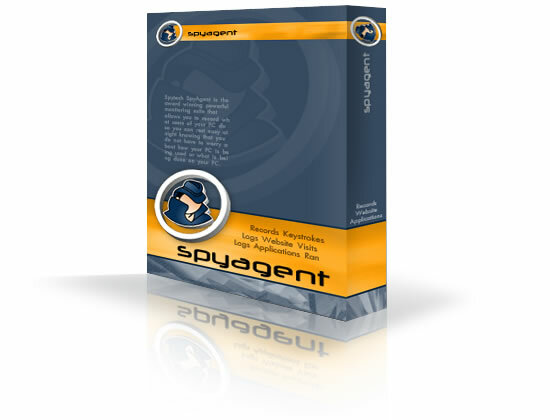 Purchase SpyAgent and Start Monitoring Today! Risk-free Purchase - 15 day Money back Guarantee! Need a Quick Answer? Email Us! Fill out the form below to send us a question.